Following yesterday’s official announcement of a price cut on all Xbox 360 models, to come into effect this Friday (14 March) TechRadar spoke with a number of major games retailers to gauge their response to Microsoft’s aggressive pricing strategy. Marc Dean, Morrison’s Home Entertainment buyer, told us earlier today that he “thinks the new price cuts are a significant move to attract the family market”. “The Arcade model will now compete with Nintendo Wii on price and at £159 will have a much broader appeal than previously. This is a good move, certainly from a retailer's point of view!” he added. A spokesperson for ASDA told us: “ASDA is absolutely committed to offering high quality goods to its customers at the very lowest prices and our recent Xbox price cuts are just another example of this. 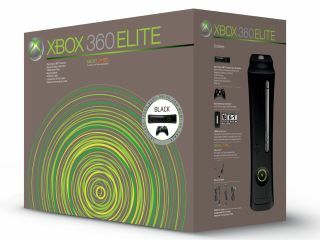 "The 360 is becoming increasingly popular with mass market customers and this news, combined with the arrival of highly anticipated family games like Sega Superstars Tennis and Lego Indiana Jones, can only accelerate this. "Such a large price reduction is great news for the core gamers as well, especially as it comes in time for the launch of GTA IV and Rainbow Six Vegas 2 in the next few weeks. "With prices now starting at just under £160, there's no doubt that the three different versions of the 360 represent outstanding value for money with the incredible technology and sheer volume of entertainment that they offer." That’s right, should you have needed reminding, 2008 is already shaping up to be another vintage year for gaming. Roll on 25 April (or GTA IV day, as we have renamed it in the office).